I cannot concentrate if I do not eat breakfast! I will never pass a test on an empty stomach, not to mention that I will become very hangry. As a college student, getting eight hours of sleep is pretty much unheard of, but not for me. I need sleep to function, especially if I am have something important the next day. I can’t leave my apartment without brushing my teeth, so I end up brushing my teeth at least 3 times a day. I like having a clean mouth at all times, and needless to say my dentist loves me. I know my calculator is in there, but I have to just see it one more time. I am crazy with making sure I have everything packed, and tend not to trust myself that I did it already. Checking one more time helps me to sleep at night. What are some things you do to set yourself up for success? 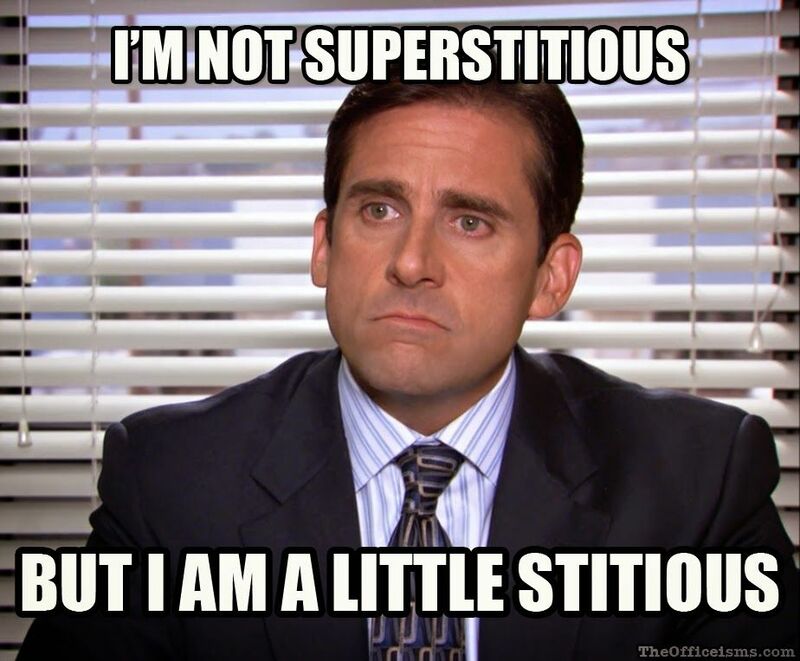 Superstitious or not, I think believing in something, whether it’s the supernatural or just a routine, is a good way to find motivation and keep on track with your goals.